Blizzard Watch is looking to hire Druid columnists. 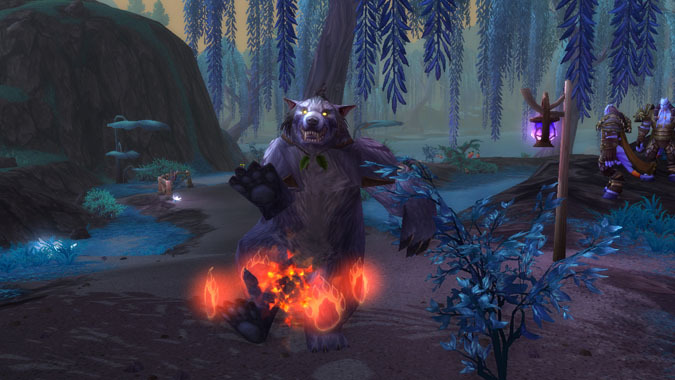 Our ideal columnists know at least two out of four Druid specs — Restoration/Balance and Feral/Guardian — and can discuss their respective specializations at a high level in terms that can be understood by both veteran and rookie players alike. Five sample topics you will explore. For each topic, include a sentence or two explaining what the topic is and why it’s compelling content that Blizzard Watch would want to produce. A sample first column of around 500 words. Even though we require our columns to fall between 1,000 and 1,500 words, 500 words will allow us to get a feel for your writing. We get many applications — please do not write a novel. Once you have completed your application and sent it in, the Blizzard Watch management will review it. Because of the number of applications we receive, we cannot respond to requests for verification of receipt or application feedback. If you are not selected for the columnist position, you will find out when we make a post with the selection results on Blizzard Watch. Applicants who are not proficient in multiple specs, or are proficient in multiple specs in a combination other than what we detailed above, are still encouraged to apply. If you have previously applied via an informal call for applications, please submit your application again. Do not send attachments. Please include all requested information in the body of your email. Do not format your email with different fonts, text sizes, or images. You may use bold and italics to separate sections of the application. The deadline for applications is 11:59 p.m. on Monday, October 19. Applications which are submitted after that date will be discarded.